Launch day's really been fun, even though Jason's making himself a bit of a pest. I met a couple of really dreamy guys, pilots, I guess-a very tall blond one and a cute little darkhaired one. I'm going back out this evening to sing at the municipal center picnic. Maybe they'll be there! I might-hey! I think something's going on outside. More later. When I first watched the series...I honestly found her annoying. 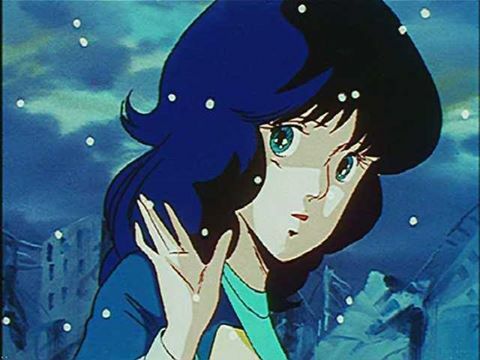 In the Novels, from Macross, The Sentinels, and to the End of the Circle...the character of Minmei....is a survivor...plain and simple. IMAGE: Robotech: The Animated Series, Ep. 36 - "To The Stars"